Edgerton possessed a keen interest in science and engineering. His unparalleled passion to master the unknown in these fields is what remained constant throughout his prolific career. In his unpublished autobiography, he recalled that one his most memorable moments was when he built his first radio during his early childhood. Even as a child, he had the gift for creating and building. Whether it was building a radio or making breakthroughs in flash photography, which is what he is most recognized for, Edgerton always put tremendous effort in his work. Today, he is often recognized for his fascinating photographs of falling milk drops and speeding bullets. This is just one dimension of Edgerton’s research and accomplishments, but it has stolen the public spotlight. The purpose of this project history is to shed light on Edgerton and his research beyond what is conveyed by these wonderful photographs, by examining his work around the World War II time period. The story begins in the late 1920’s at MIT. 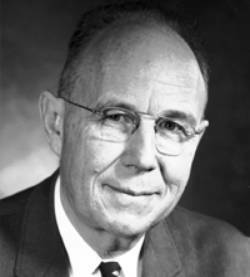 3Harold Edgerton was first introduced to stroboscopy while doing his doctoral thesis at the Massachusetts Institute of Technology. Through his research in stability of synchronous motors, he discovered that he could visually observe changes in angular motion due to disturbances of the system by using stroboscopic light. Edgerton was able to detect changes in the rotor’s rotation when the transmission lines connected to the generator were perturbed. This breakthrough helped him realize the tremendous power of strobe lights in allowing the human eye to view high-speed motion that had never before been observed. By 1937, Edgerton had already achieved a string of new innovations using strobe photography to capture fast motion. He utilized his resources at MIT to further develop his strobe technology. Several other manufacturing and scientific laboratories at MIT turned to Edgerton to help them capture fast motion and effectively freeze time during this time period. The true test came, however, in 1939 when Major George Goddard of the Air Force presented Edgerton with a project to develop nighttime aerial photography for reconnaissance endeavors. The war mobilization effort brought tremendous time constraints to Edgerton’s aerial photography research. He needed to make his aerial photography flash units reliable, and more importantly, he had to develop them quickly during these times of international crisis. His involvement in World War II ultimately expanded the scope of applications for his strobe technology, caused him to take his technology out of the laboratory setting, and introduced him to research in the area of national security after the war ended. In addition, there was a big change in scale and magnitude of the units he built during the war.